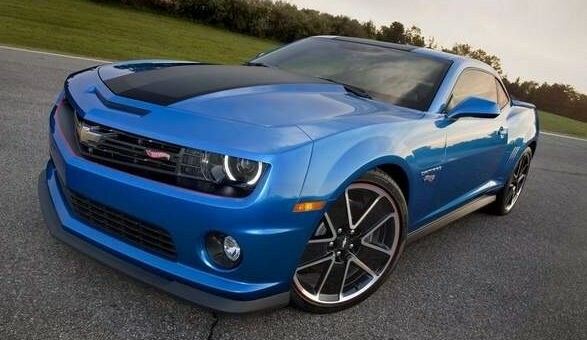 What the Canadian Auto Workers Union is describing as “a kick in the teeth,” General Motors is moving production of its beloved Chevrolet Camaro from Oshawa, Ontario, Canada to the Michigan Lansing Grand River assembly plant for the next-generation model that is expected to launch in 2015. Currently, Lansing Grand River serves as the birthplace of the Cadillac ATS and CTS. Those of you who have been following industry reports closely should have seen this move coming, as the sixth-generation Chevrolet Camaro is going to utilize GM’s state-of-the-art Alpha architecture — the same architecture currently used by the Cadillac ATS, and soon-to-be-2014 CTS. It makes perfect business sense to assemble all three vehicles under the same roof, rather than investing for tooling in two plants. It’s still too far out to gauge what kind of impact the transition will have on the Oshawa facilities, but considering the plant’s importance, something should fill the gap left behind by the Camaro. Update: GM Canada officially confirmed the impending transition. Worked at the Oshawa plant twice, one year each, during new model introduction. The CAW workers were the best in the world. They, with management, worked ultra hard to get the best cars out the door. Hope they come up with something for them. Too bad the CAW were such idiots during last negotiation. They need to be at least competitive with the UAW. Good to see GM is being smart about their production facilties. It’s also nice to see an American icon will now be built in the USA. Hmmm, another medium blue vehicle. About time. That’s the Hot Wheels Edition, correct? Please bring Caprice and SS production to Oshawa. I’d prefer they be built in the USA, but Canada is better than Australia from a publicity standpoint. This move is absurd, the Canadian operations are the best of the best that the General has, and is proven to be that way in quality, and productivity!! They keep taking from the Oshawa plant, and investing else where. The Canadian government helped during the auto crises and the Canadian facilities have not seen the same investments as have the Americans!! The General seem to be investing a lot of money in new facilities in China and Mexico, I never seen those countries pony up any funds when the company was close to near collapse! IF the General replaces the Camaro with another model for the Oshawa plant to build great on them if not, they should be ashamed of themselves!!!! Again Oshawa has always risen to the challenge of what ever has been put in front of them……. It’s time for the General to reward these incredible plants their Crown Jewels as I’ve heard the General refer to Oshawa!!!! It’s not happening until 2015. And by then GM will probably have switched over every vehicle in the plant besides the Impala and XTS. Oshawa has long been a huge cog in GM’s manufacturing machine, and I don’t see them turning their backs on Canada anytime soon. Something will come along as a replacement. I think ontario has enough trouble making ends meet, this WILL be a kick in the teeth, lets hope GM builds something else there to keep the jobs. Its been a great run up to this point and I think I can speak for everyone here in Oshawa by saying we’re proud to be the builders of the 5thGen Camaro , and I’m sure the Lansing Build Team will carry the 6thGen torch with pride . I just wish the announcement was done a bit differently , as we only found out of the re-location from watching the news ! Thanks to all of you for supporting GM and Team Camaro.